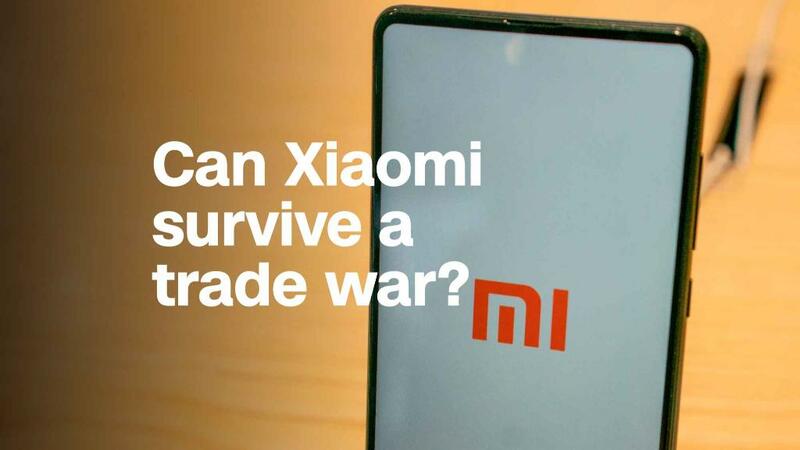 Can Chinese smartphone giant Xiaomi survive a trade war? Xiaomi's stock market debut has made a few men very, very rich. The Chinese tech company's shares started trading in Hong Kong on Monday. They closed about 1% down from the issue price, but that didn't stop some of Xiaomi's top executives from racking up big gains in their wealth. Xiaomi is one of the world's biggest smartphone makers and the initial public offering valued it at about $54 billion. CEO Lei Jun, who founded Xiaomi in 2010, is reaping the biggest reward. His stake of roughly 29% was worth about $14 billion at Monday's closing price, according to a CNNMoney analysis of company data. Lei, 48, was already a billionaire before the IPO thanks to his huge stake in Xiaomi and other investments. He was recently awarded Xiaomi stock worth about $1.5 billion for his contributions to the company. 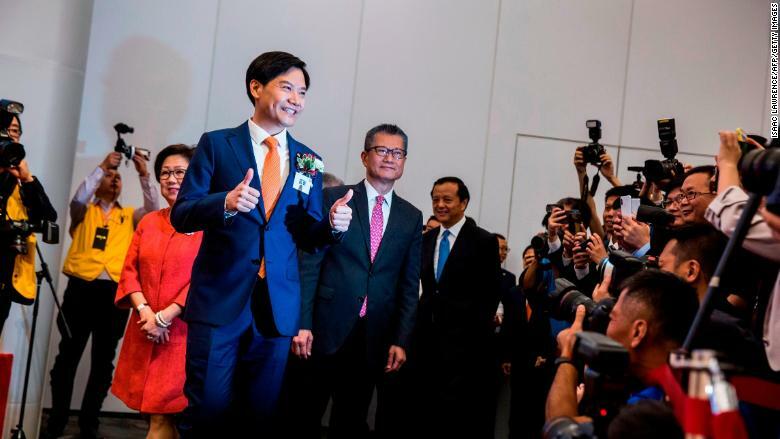 Xiaomi CEO Lei Jun at the Hong Kong stock exchange on Monday. The serial tech entrepreneur also owns part of Kingsoft, a Chinese software company he started and led to an IPO in 2007. He also set up an online shopping company that he sold to Amazon (AMZN) for $75 million in 2004. Three other Xiaomi co-founders have also enjoyed a huge jump in their wealth from the IPO. President Lin Bin's 12.5% stake is now worth about $6 billion. Like many young tech graduates at the time, Lin started his tech career in the early 1990s as an engineer at Microsoft (MSFT). Before starting Xiaomi, he worked for Google (GOOGL) in China, helping the company build and manage its China mobile search and Android app teams. Li Wangqiang, a former colleague of Lei's at Kingsoft, has a 2.9% stake in Xiaomi that is now worth just under $1.5 billion. Li is one of several vice presidents at Xiaomi, where he heads up the e-commerce team, an area the company is counting on for big growth in the coming years. Wong Kong Kat, known to friends and colleagues as KK, also has a stake worth nearly $1.5 billion. Wong is another Microsoft alumnus, where he worked on multimedia and instant messaging for the Windows smartphone. At Xiaomi, Wong leads the company's WiFi and cloud storage teams.